If SOUVENIR were a wedding, what would it be? How would it look, feel, taste, sound and smell? These are the questions we posed to ourselves when dreaming up our first ever wedding concept. This show comes from a personal, pure and curious place. We've challenged ourselves to create a fresh, focused and inspired vision in an area that we feel can be, often times, overwhelming homogenous and distant from our own style. Regardless of whether or not you choose to get married, or believe in marriage in the first place (full disclosure - we not only support you but likely share your sentiments!) - weddings present an opportunity for infinite creative (and emotional) potential. We've decided to embrace the core of what a wedding could be - a beautiful, thoughtfully designed and highly personal life event - and use that as a platform to create ideas that we can be excited about. Ideas that still feel like SOUVENIR - in wedding form. Our dream Wed. table concept. Styling by Danielle Suppa/SOUVENIR with florals by Timberlost. More table details, featuring handmade bonbons by Golden Ticket Candy. Union Collection from Attic Gold making its debut at Wed. by SOUVENIR. Photo by Lauren Kolyn c/o Attic. Ceremonial collection from Foe & Dear. 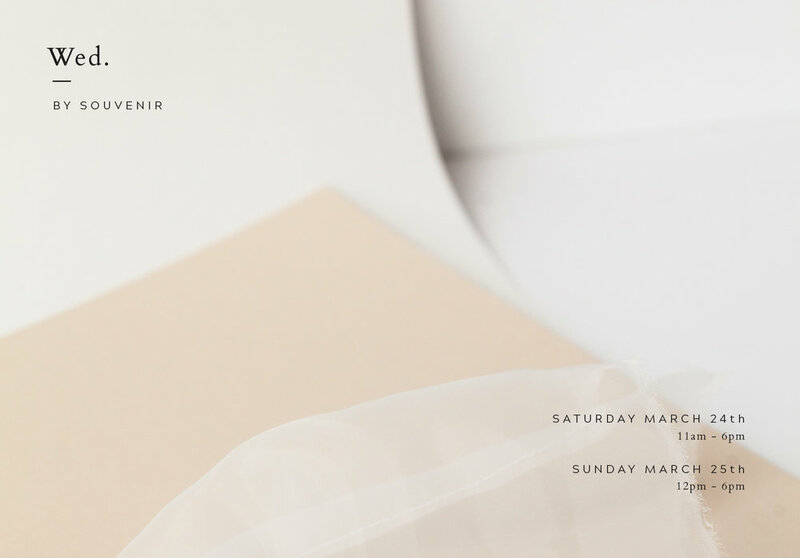 We are proudly featuring the work of fellow likeminded creatives and designers, carefully selected to encapsulate wedding ideas that truly represent SOUVENIR. Understanted and thoughtfully designed stationary that sets the tone. Photography from poetic and soulful artists who find love and beauty in the hidden moments as they are, rather than manufacturing them. Florals that feel as fresh as they look. Modern yet timeless rings from designers who place precedent on the care versus the carat. 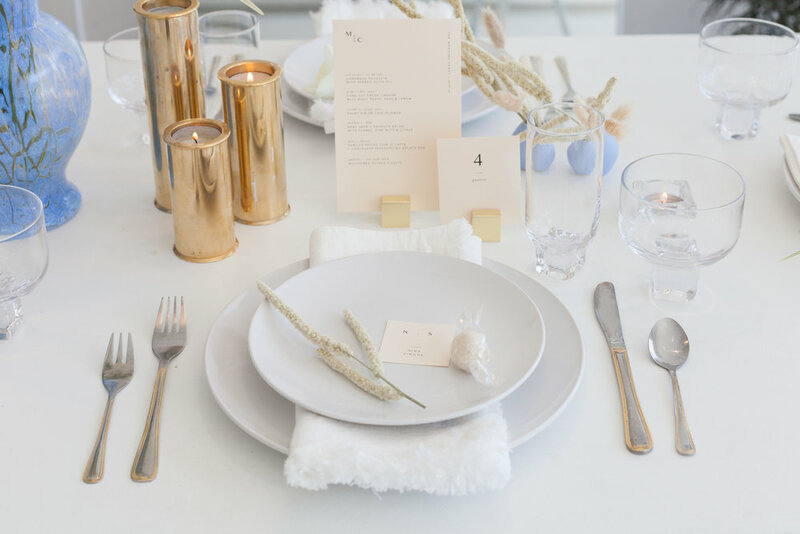 Styling and favour ideas that consider the couple as much as their beloved guests. Gifts that you'd be thrilled to give or to receive. 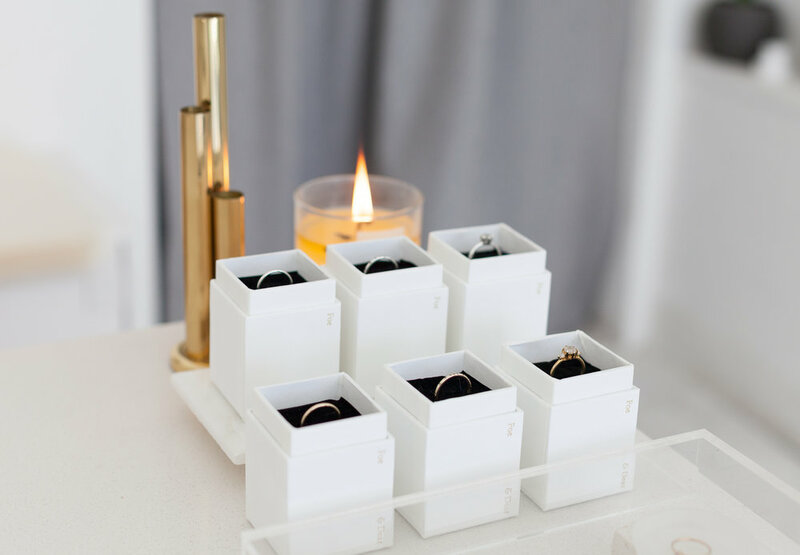 A registry that allows you to select meaningfully made items that you'll enjoy and treasure with your partner for years to come. Thoughtful, unexpected. Inspired, inclusive. Modern, moving, joyful. This is what weddings can be. This is Wed. by SOUVENIR. Invitations designed by SOUVENIR Studios. Floral styling by Timberlost featuring bud vases by Akai Ceramic Studio.